We’ve seen a real resurgence in tabletop games in the last few years so it comes as little surprise that Auckland would eventually find itself with a dedicated board game café. 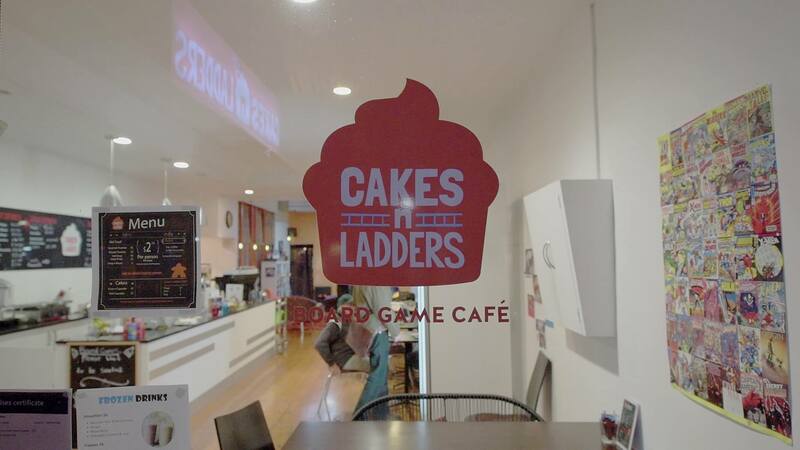 Cakes n Ladders, which is nestled at the top end of Upper Symonds Street (number 173 to be exact), is that place – in fact it’s Auckland’s only dedicated board game café! Launched with the help of a Kickstarter campaign, this weekend marks the one year anniversary of the opening of Cakes n Ladders, and it surely is a moment to celebrate as this place is a little bit special. While James never set out wanting to own a board game café, admitting that he didn’t even know that it was a thing five years ago, he quickly warmed to the idea after a trip with his partner, Emma, to North America in 2015. After visiting Castle Board Game Café in Toronto they new that they had to bring this fantastic concept to Auckland. It’s not just that you can choose from an incredible collection of tabletop games – around 400 and counting – while being served great coffee and delicious cakes, it’s the warmth and community that you feel at Cakes N Ladders, something that a direct result of the passion and dedication that both Emma and James put in to running their café. They’ve also helpfully arranged their extensive tabletop collection into helpful sections – such as quick to learn, games for couples, Kiwi games, and adults only (ask for Cards Against Humanity at the Counter). While you can expect all your old favourites to be there, there is also an extensive collection of Euro games, new releases, and obscure titles. You can check out their entire game collection on their website. And if you’re in the mood for trying out something new, Emma and James are more than happy to sit with you and share their extensive knowledge (and also help out if you get stuck on a rule).